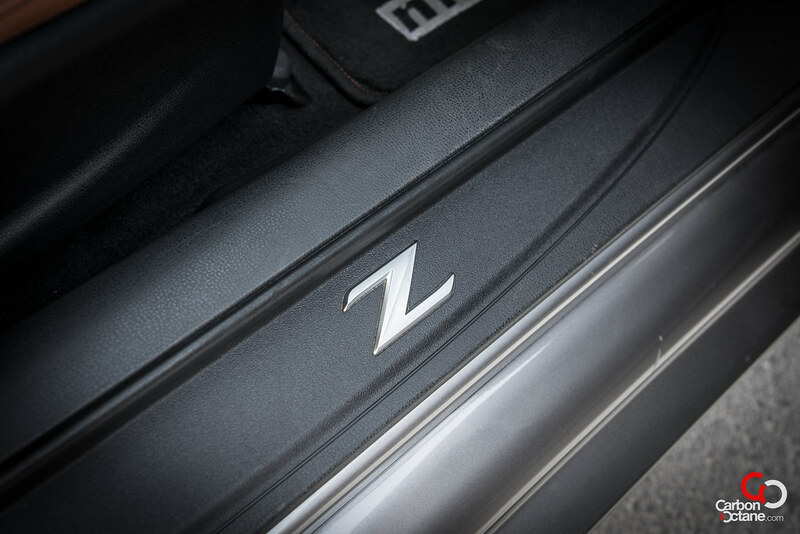 The 6th Generation “Z” from Nissan is the mightiest ”Z” variant yet. With 332HP and 363Nm of torque, this little fire ball is able to sprint to 100kmph in 5.3 seconds (UK test figure) and that too without breaking a sweat. 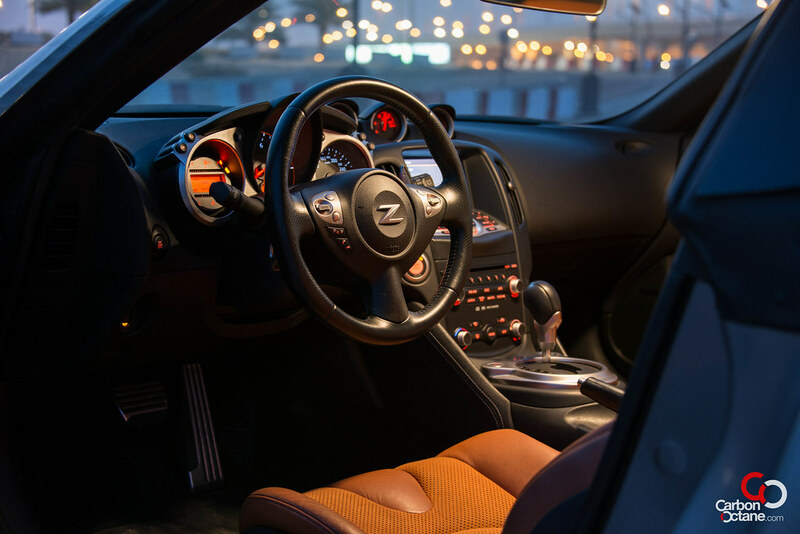 The history of the “Z” began with the 240Z back in 1969 with 151HP and went on strong till 1996 with their 4th Generation in the form of the iconic 300ZX, though the Japanese market was luckier and had the 300ZX till around 2000. We on the other hand had to relive the 300ZX through games like Top Speed which was similar to the likes of Outrun featuring the Ferrari Testarossa. 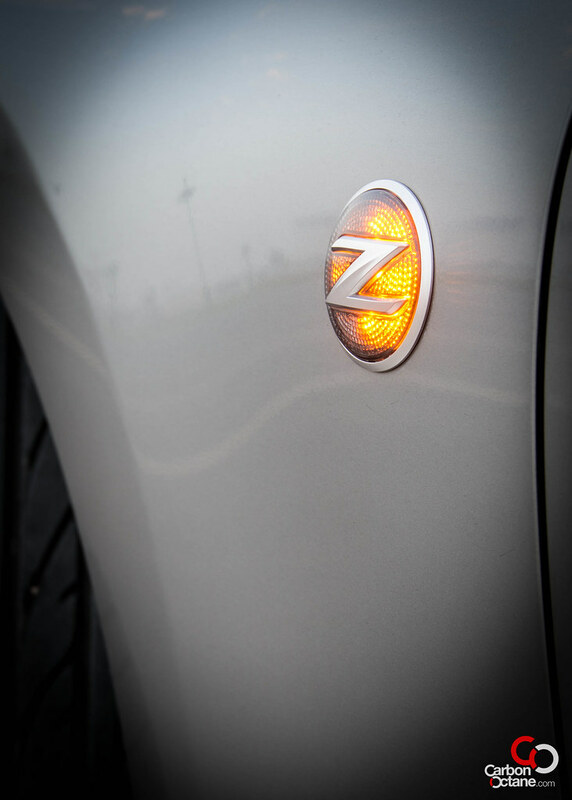 2001 was a monumental year for Nissan as its CEO, Carlos Ghosn, announced the return of the “Z”. This was indeed good news, as we had seen the slow demises of other iconic Japanese cars such as the Supra and the Celica and the thought of a resurrection brought tears of joy to the eyes of petrol-heads. 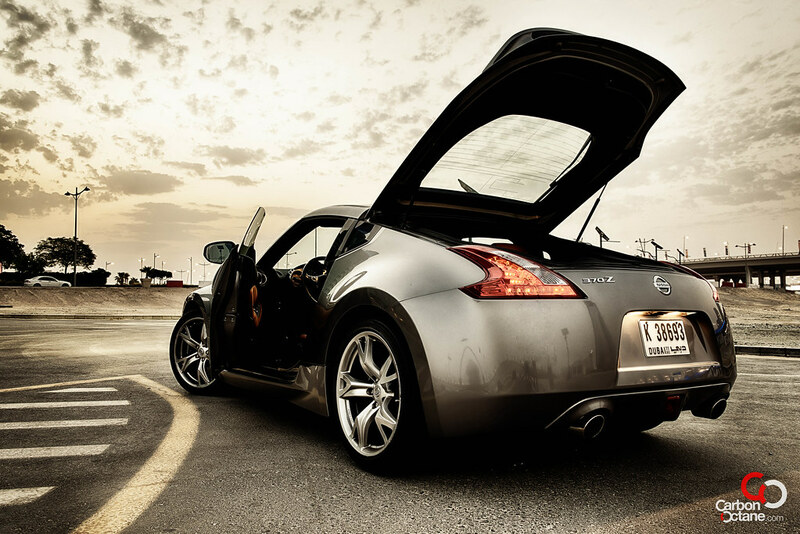 The Nissan 350Z was introduced in 2002 and the automotive world fell in love once again. The fifth generation “Z” sported a long bonnet with a short deck style design and was introduced with a 287HP version of the Maxima engine albeit with some minor revisions. The production phase continued for 6 years with minor revision to the engines and this design ended in 2008 with a HP tally of 306. 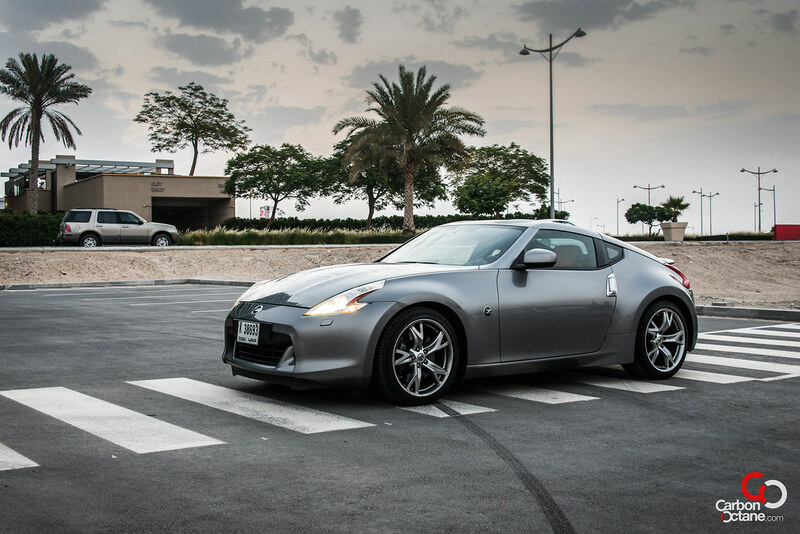 Now we are in the age of the 6th Generation “Z”, Nissan had to up its arsenal and opted for an evolution from its predecessor rather than a revolution. The new shape is more buff, it’s lower and wider. 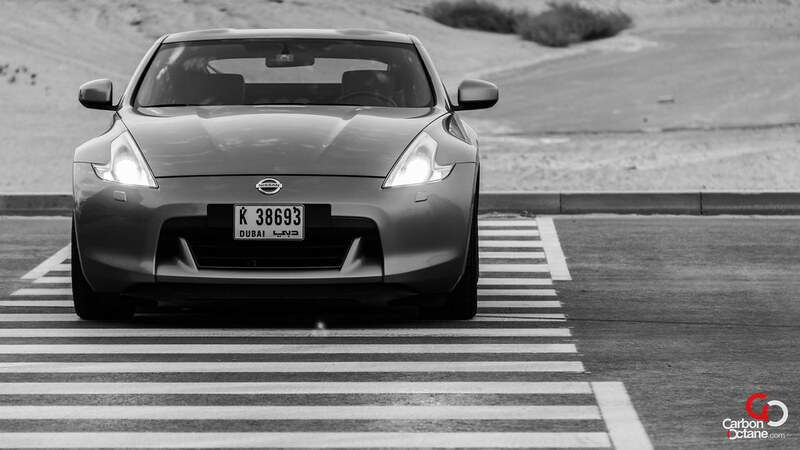 The dimensions of the 370Z has been improved in every way to make it more sporty. Yes the flared wheel arches looks beefier than before. 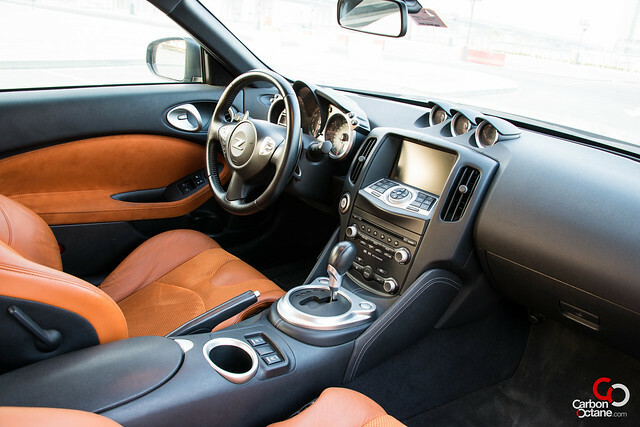 Once you sit on the drivers seat and look through the side mirrors, you can see the enlarged and curvy hips of this car much like the view that one gets to see in a Porsche 911. Did Kim Kardashian have a say in its design? 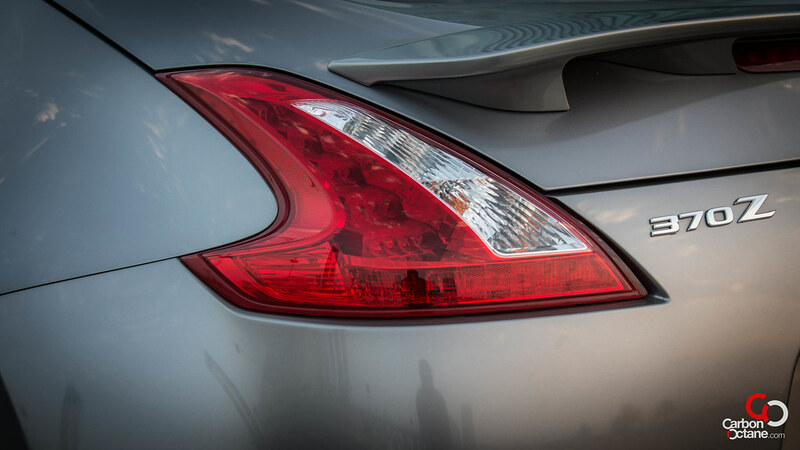 It doesn’t matter, the 370Z looks just jaw dropping curvylicious. Nissan has priced the 370Z at AED 198,000 inclusive of 1 year insurance, and this is almost AED 50k more than the the prices for the VW Scirocco R and the Golf R. We had the pleasure to actually test the 370Z back to back with the Golf R. The Nissan is strictly a 2 seater and while keeping practicality aside we concentrated on the feel, power delivery and the handling of these cars. Here was a 328HP rear wheel drive versus the all AWD and 250HP of the Gold R. The 370Z feels like an all American muscle car and has to be respected as such as well. Coming hot into a roundabout we needed to brake earlier than the Golf R, and that’s about it. The car held the line and the massive torque slingshot the “Z” out of the apex. One cannot keep the accelerator buried deep in the floor bed, while taking on the longer turns. The rear end gave great feedback and we could predict when we were being over enthusiastic with the capabilities of the 275mm rear profile tires. This makes it fun when we know that our capabilities, at least on the road, would be pushed to the limit to reach anywhere close to the limit of the 370Z. It’s like trying to hang on to the horns of a mad bull, try all you want but you know that any slip of respect and the beast would bite back. Our test mule came in dark grey and orange tan leathers. Bose audio system was pounding the beats on but the best soundtrack was that from the exhaust. The note just explodes when you hit the 7000rpm mark and in essence it reminds you that this is a thoroughbred. 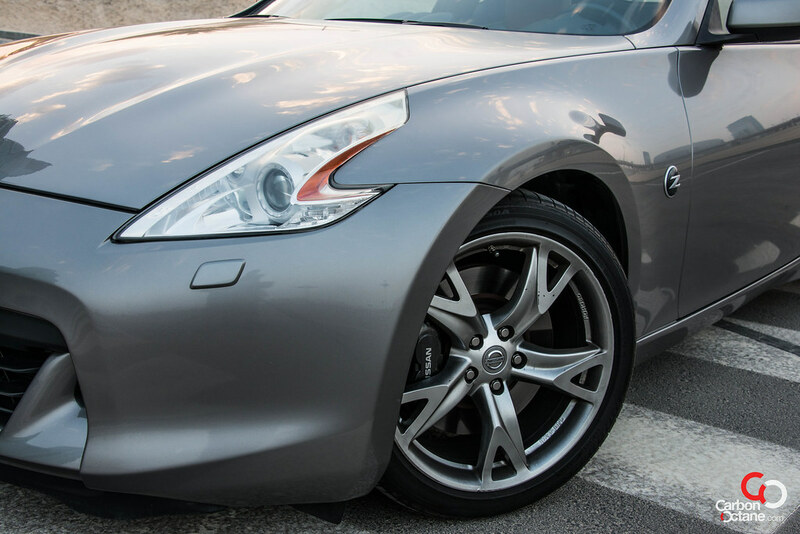 The 370Z remains unchanged since its launch in 2009 with the addition of a rear view camera for the 2012 models. Why not, there is nothing that needs changing for this car, it’s a total package. 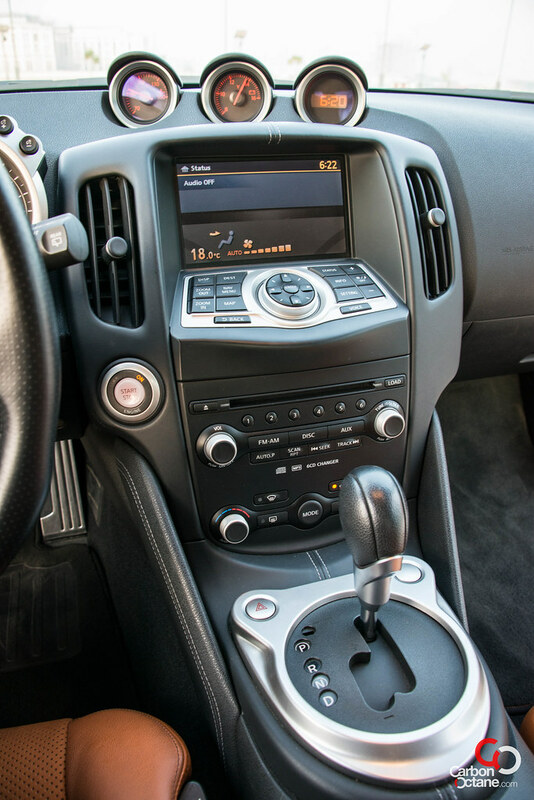 The aftermarket industry has gone berserk with after market parts for this car, but one has to ask whether they would want something feisty. 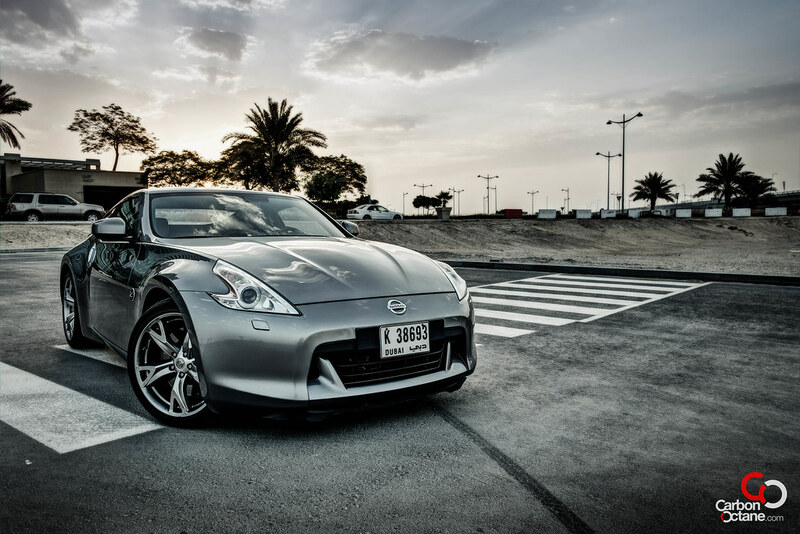 We think that the 370Z provides the best balance of everyday driving with the occasional insane mode. 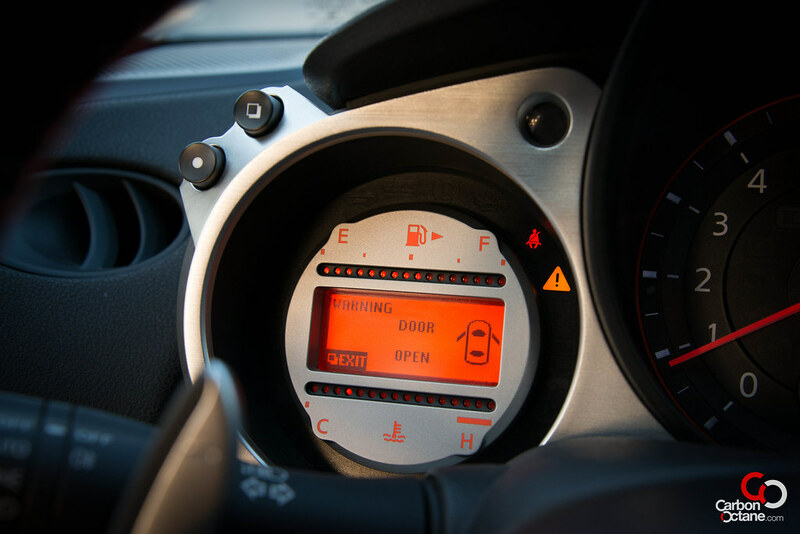 And for those who believe in the hype of the Toyota86, please note that there is a button called “VDC” Vehicle Dynamic Control on the left side of the dashboard. 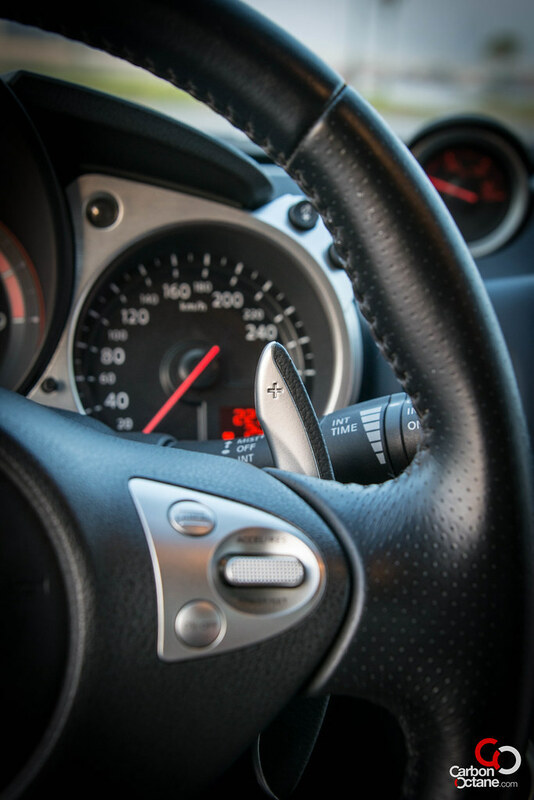 Switch it off, stomp of the accelerator and hang on for dear life, this car can drift. For a car to provide this sort of performance, one might think that the service charges would be high, but it’s not. Below you would find the rates of the service charges and they look very reasonable indeed.